Plantations of non-native fast-growing forest tree species have expanded rapidly in Southeast Asia (SEA). Longer rotations have been accompanied by the emergence of new pests, diseases and new host-pest combinations that has never been seen before. New pest and disease problems have also emerged in areas that were previously free from such pests and diseases. Reviews and investigations on the emergence of diseases in plantation forests have been made over the past ten years by SEA countries. Acacia mangium, which has been planted over the large area in Southeast Asia and Oceania, is now suffering from diseases especially red root rot disease caused by Ganoderma philippii, dieback and stem canker associated with Ceratocystis, heart rot disease associated with some basidiomycetes and ascomycetes fungi, and leaf rust disease caused by Uromyces sp. Eucalyptus spp., which is also widely planted and planned to be a replacement for Acacia spp. is also being impacted by some dangerous diseases such as stem canker associated with Ceratocystis sp., complex leaf diseases and more recently, leaf rust diseases caused by Puccinia psidii. Since pests and diseases in the planted forests of SEA countries are increasing both in number and severity, cooperation and collaboration between researchers and managers among the SEA countries is essential to mitigate their impacts. 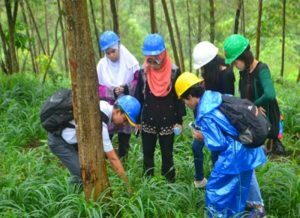 The number and expertise level of forest pathologists in SEA is limited, so improving their capability through capacity building and forming an informal group of SEA expertise’s is desirable. For more information, download the workshop flyer. I consent to having this website store my information so they can send me email newsletters.